We believe good things come in threes. And when it comes to your favourite winter sport, Vail, Whistler and Jackson Hole are like The Three Tenors of ski resorts when you think about it: powerful, inspiring and beyond compare. But this season, you don’t have to choose just one to experience. Why not ski all three? 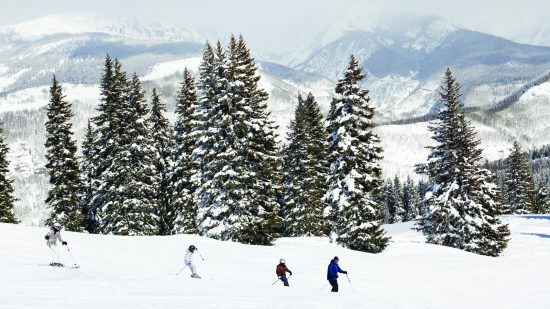 It’s more appealing than ever with Four Seasons Mountain Collection Passport – a thrilling new program that rewards guests who park their skis at Four Seasons Resort and Residences Vail, Four Seasons Resort and Residences Whistler, and Four Seasons Resort and Residences Jackson Hole. From deep savings on room rates to a chance to win a custom Prior set of skis or snowboard, the Passport makes it worthwhile to indulge your passion for powder. As they say at the top of the mountain, it’s all downhill from here! Make winter 2013-14 the best yet with Four Seasons Mountain Collection Passport.